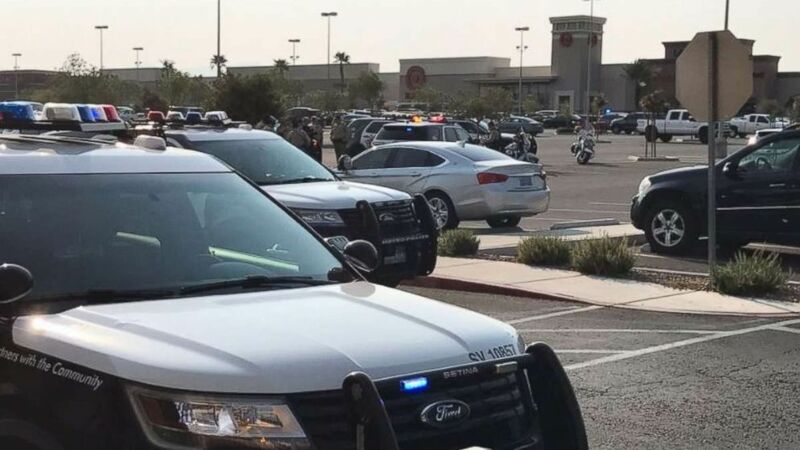 A security guard in Las Vegas opened fire on the manager of the store he was supposed to be protecting -- and the police officers who came to stop him -- in a wild scene on Saturday afternoon. According to the Las Vegas Metropolitan Police Department, the security guard and female manager of a Ross Dress for Less, a discount clothing store, got into an argument. The security guard left for the parking lot and returned with a gun, when he opened fire on the manager -- and indiscriminately in the crowded store. "He then began to shoot towards the manager, with zero regard to the shoppers inside the store," police said in a statement. After exiting the store, the guard then opened fire on responding officers. None of the officers were hit by gunfire, but the suspect was shot, police said. The security guard was the only person injured in the shooting. Police said he was taken to University Medical Center Trauma and was in surgery Saturday evening. "Mind you, this was the weekend before school starts and the store was filled with patrons shopping and doing what patrons normally do on a weekend," Las Vegas Metropolitan Police Department Capt. Nichole Splinter said. Police said this was the 15th officer-involved shooting at the department this year.